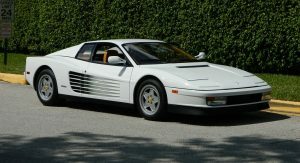 For all the debauchery in Martin Scorcese’s hit ‘The Wall Of Wall Street’, it’s easy to forget that the film is actually based around a real person, Jordan Belfort, a man who lived the high life before being sent to prison for securities fraud and money laundering. 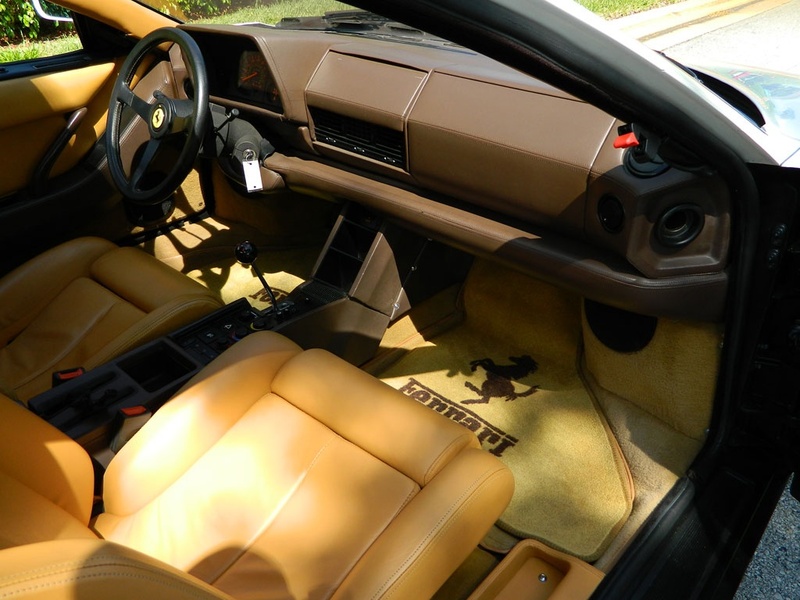 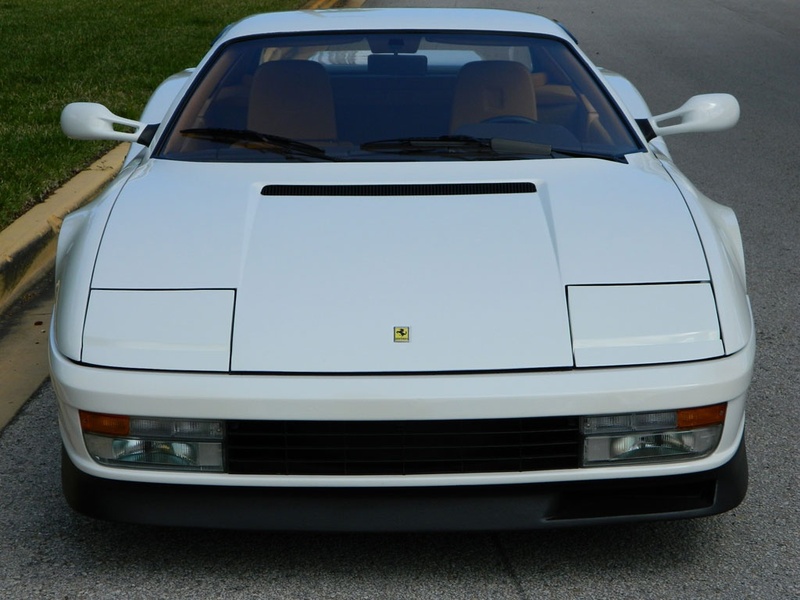 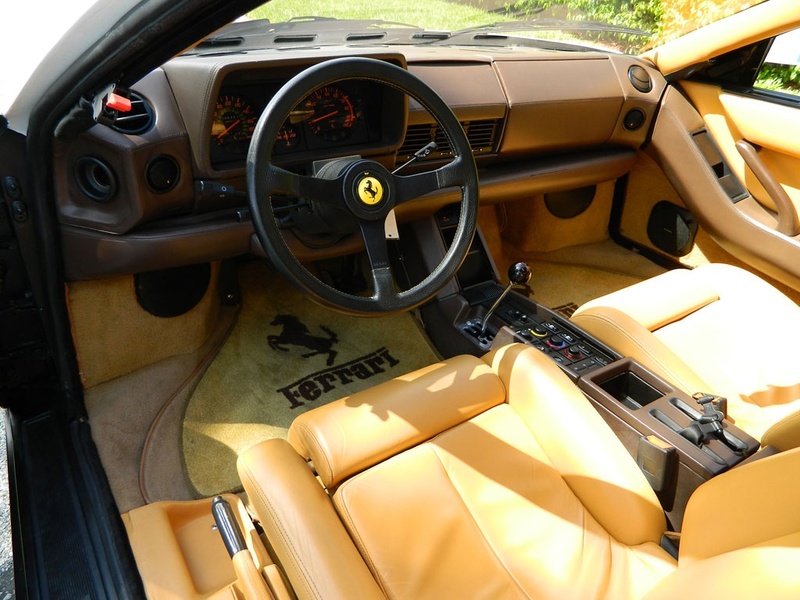 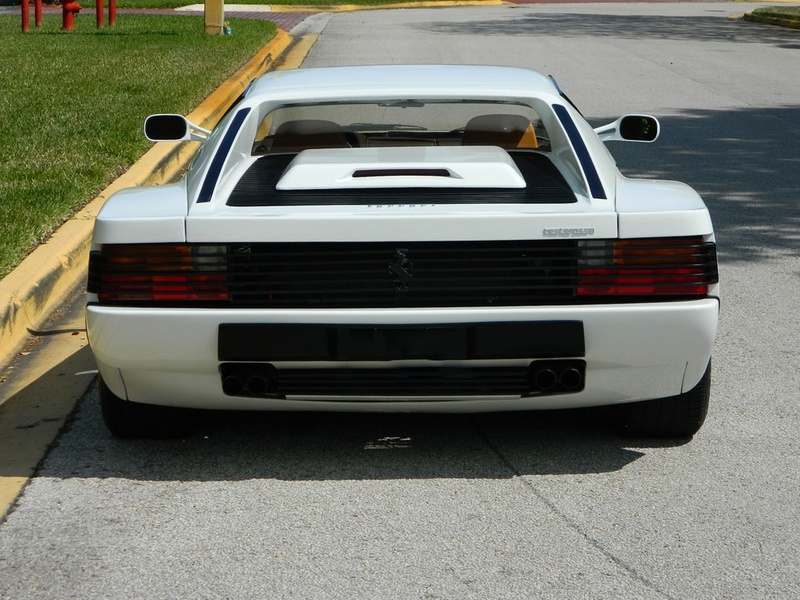 When Belfort was earning millions from penny stocks, he purchased a fleet of exotic cars including a distinctive 1991 Ferrari Testarossa painted white, just like the one from Miami Vice. 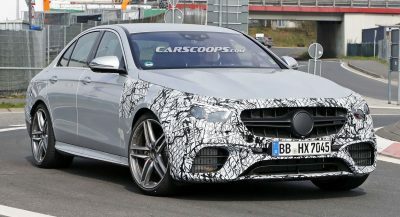 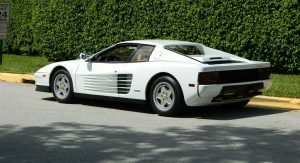 Since selling the car, it has been owned by two other enthusiasts and is now up for grabs in Monte Carlo, Monaco – where else… by MCClassics. 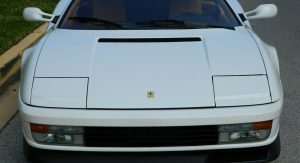 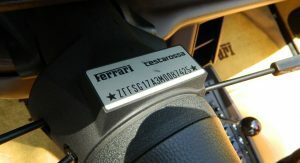 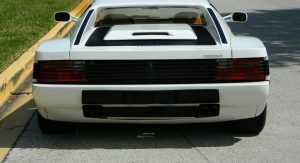 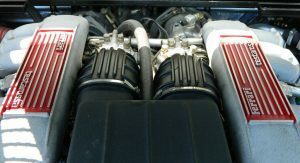 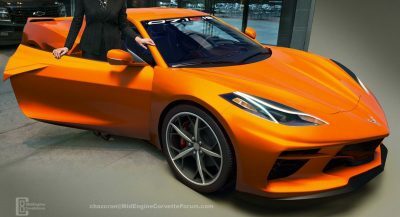 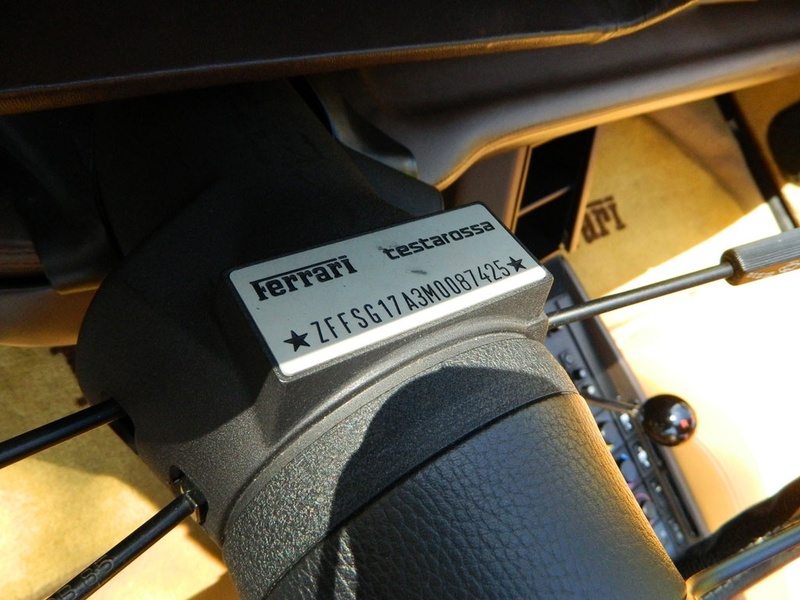 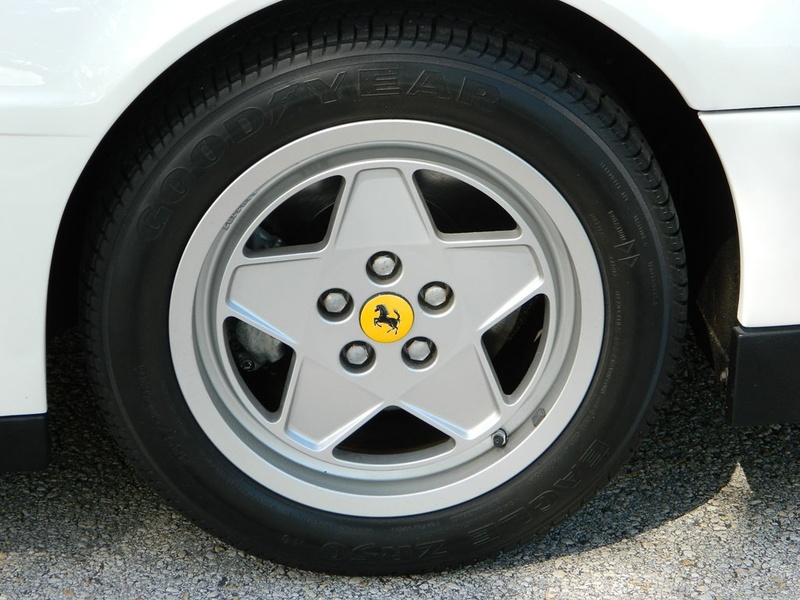 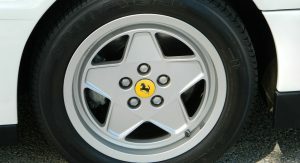 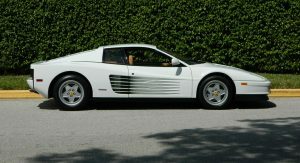 The car is one of just a handful of Testarossa’s painted in white from the factory and alongside being legal to drive in the U.S., has also been registered for use in Europe. 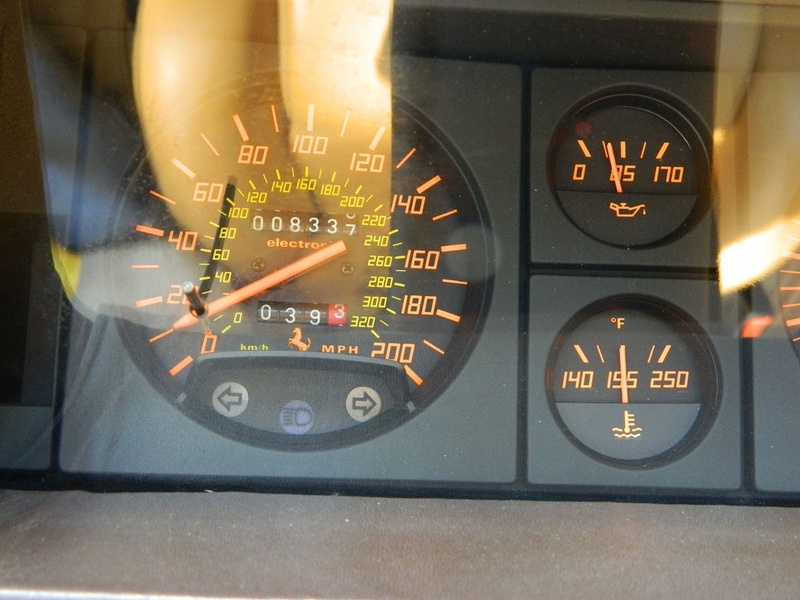 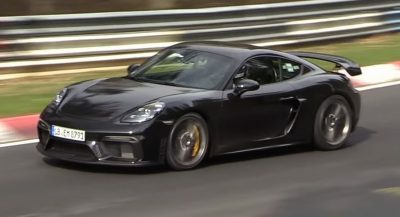 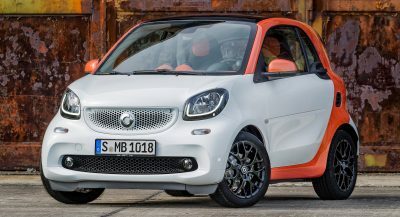 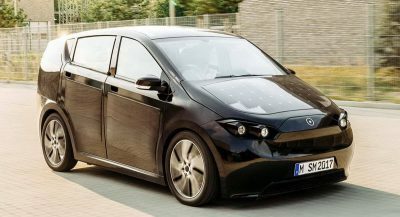 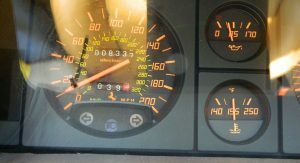 It has traveled just 8,000 miles which for a car of this age, is essentially nothing. 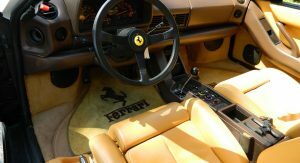 Adding to its value are the original service books, handbook, wallet and tools as well as a set of matching luggage. 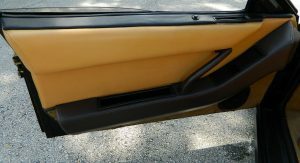 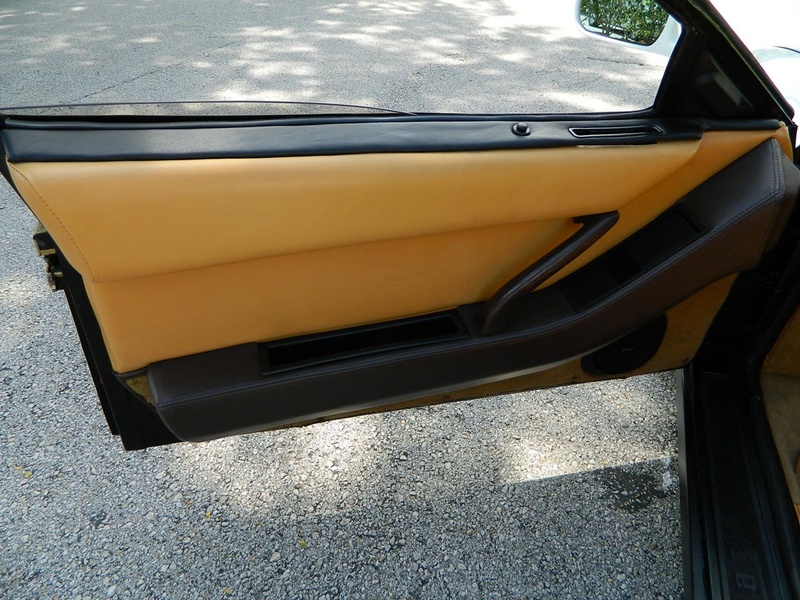 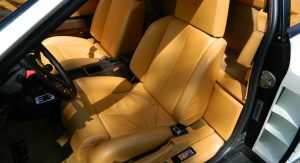 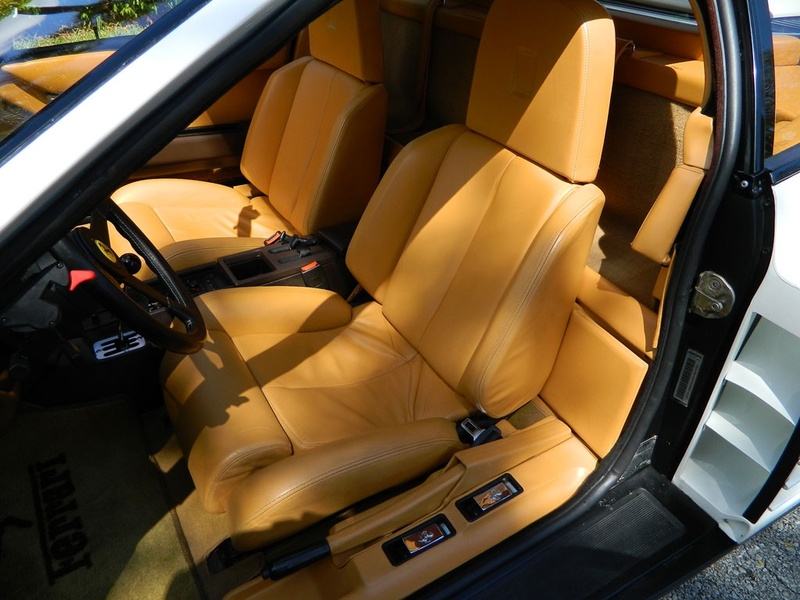 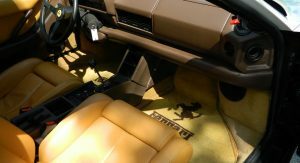 Inside, the white paint if juxtaposed by a set of cream-coloured leather seats while brown leather is then found on the dashboard, parts of the door panels and the transmission tunnel. 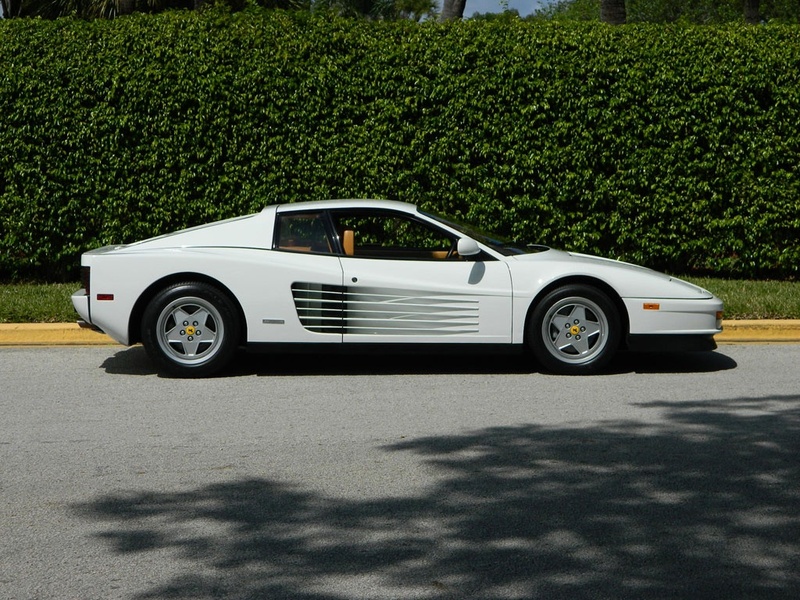 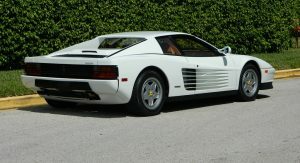 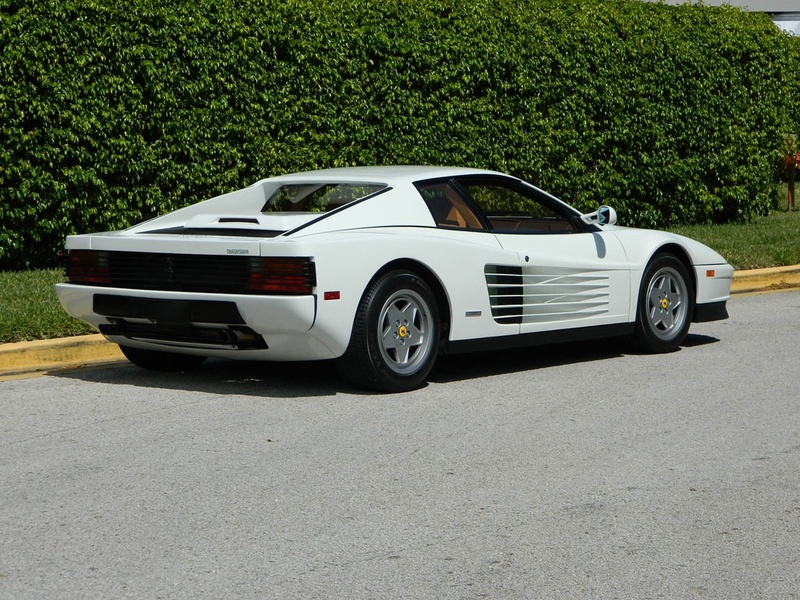 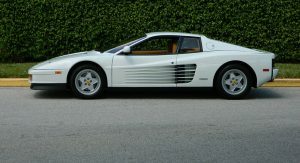 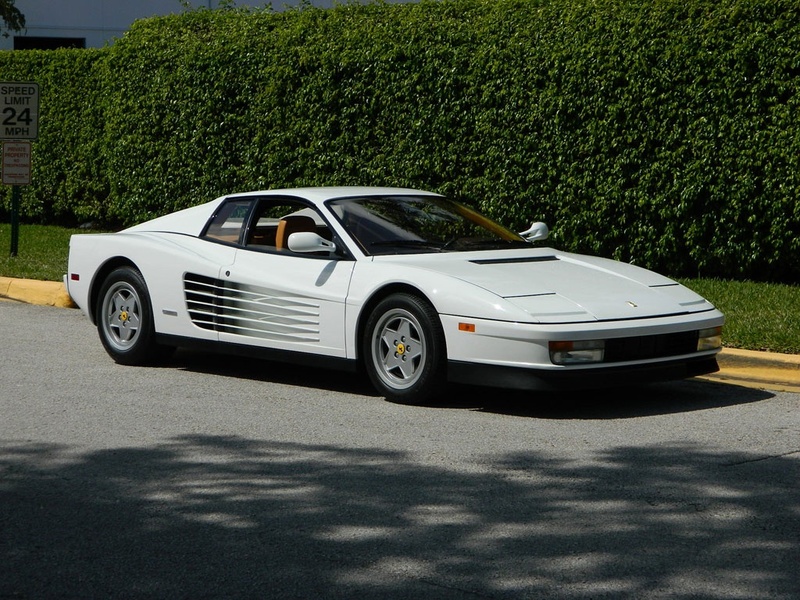 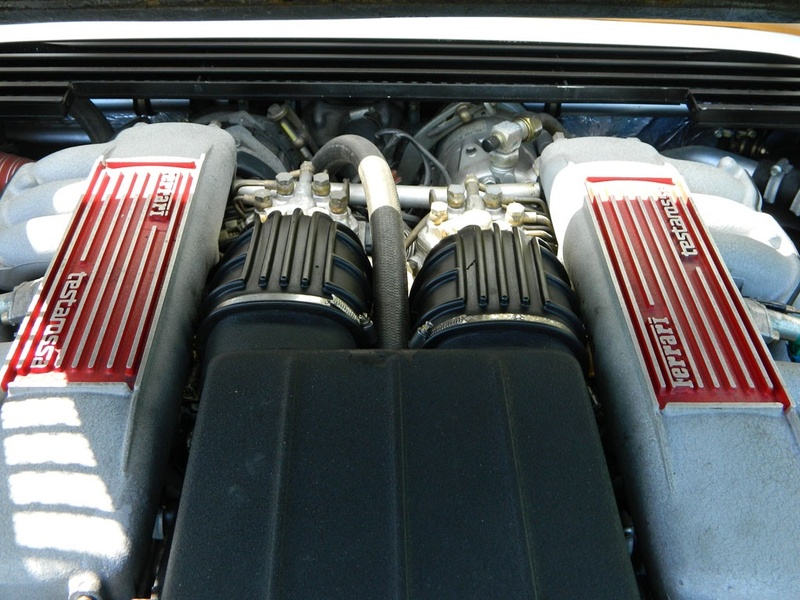 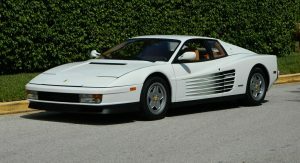 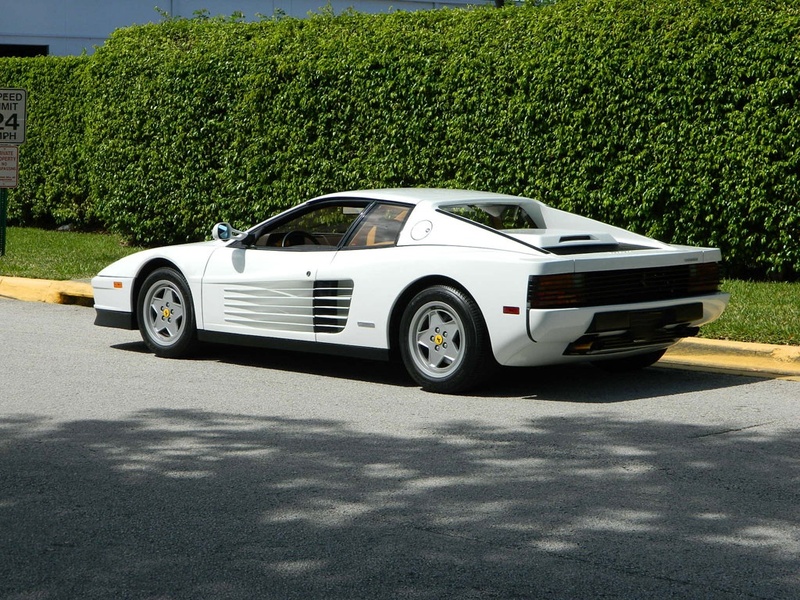 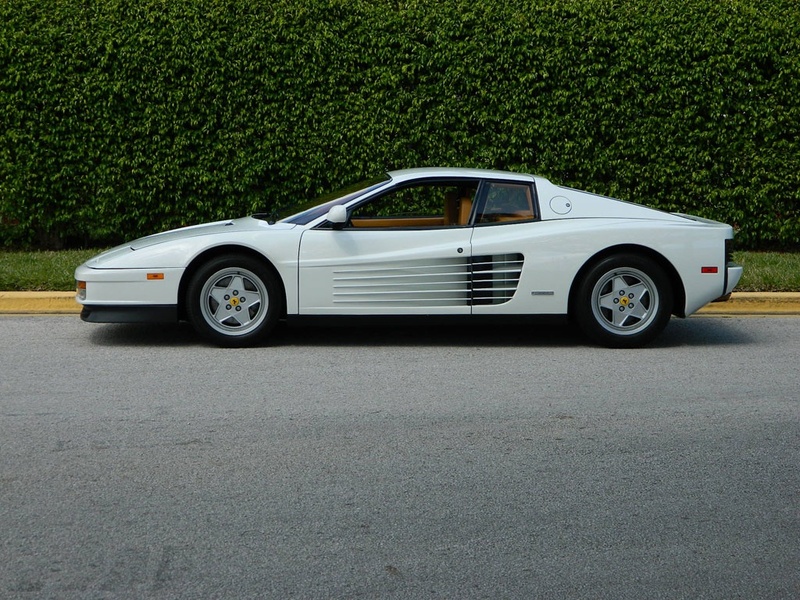 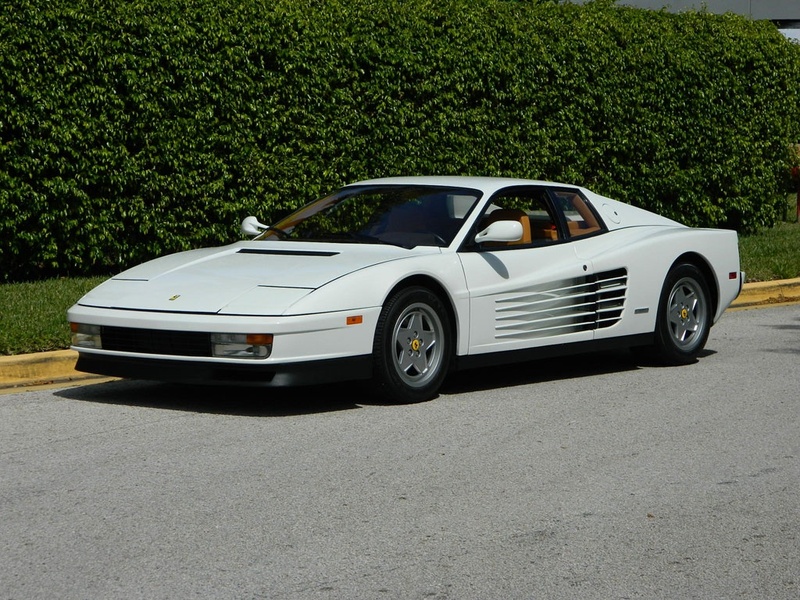 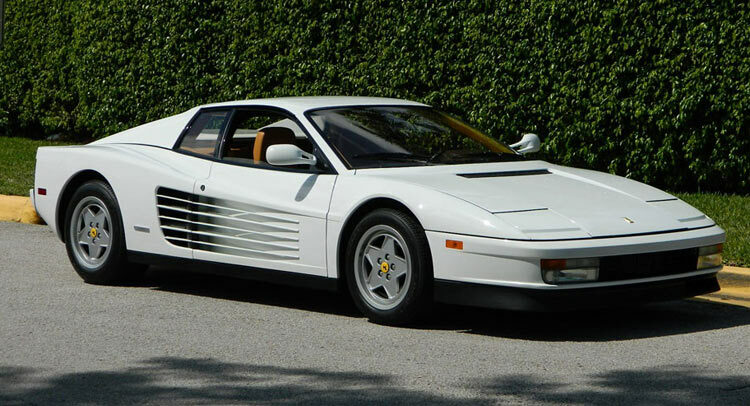 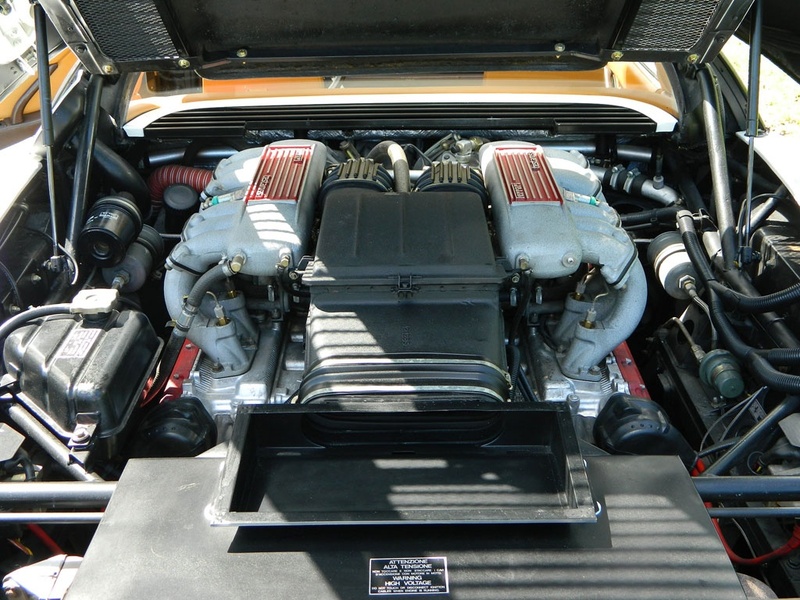 One of the white Testarossa’s from Miami Vice is currently up for sale for $1.2 million and while no price has been released for this unit, it could also be near the $1 million mark.